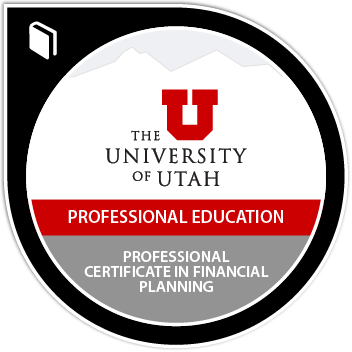 Earners of the Professional Certificate in Financial Planning have demonstrated an in-depth understanding of a broad range of personal financial planning concepts including insurance and income tax planning, retirement and estate planning, and investment strategies. They can apply concepts to a variety of situations and have met the requirements necessary to sit for the CFP board exam. They have the foundational knowledge and skills necessary to complete a comprehensive financial plan. Participate in the program capstone course. During this course students complete projects individually and in groups to evaluate case study situations representing samples of what may be encountered in the work place as a CFP Professional. Complete capstone project. Complete a comprehensive financial plan for a client. This certificate qualifies participates to sit for the CFP Board exam.